For millions of genocide survivors and their children around the world to be proud of their identity. IKARE brings hope to genocide survivors around the world by inspiring individuals to give back to their communities! The International Khmer Assembly, Inc was established in March 2012 as a project to advocate for the recognition of the Khmer and SE Asian Veterans for their role in defending American armed forces in the "secret war" of SE Asia. The purpose was to inspire veterans to be proud of their history, stories, and contribution to the United States -- and to create a legacy for their community. After a passage of MN State Senate Resolution 2314 and United States Senate Resolution S. Res 462 in July 2014, newly-elected Chairman Mr. Kosol Sek recognized that services offered to Khmer Americans were limited to fellowship and U.S. citizenship. A new approach to community development was needed where highly-passionate individuals become inspired at rebuilding, restoring, and reviving the community. In 2016, Kosol Sek, Chairman and Acting Director of the organization spearheaded a new initiative to expand the scope of the organization to include the collection of absent narratives, films, original music, artifacts, and other intellectual properties that were lost, missing, damaged, and stolen during the genocide of the 1970s. The extermination of the intelligentsia in the 1970s had created a fear and scarcity in promoting identity, voice, and pride of the people. To bridge this gap, the organization transformed and married it's legal name abbreviation ( IKA ) with "RE" for rebuilding, restoring, and reviving to communicate that for effective change to take place, role models must keep stories, history, and contributions alive. 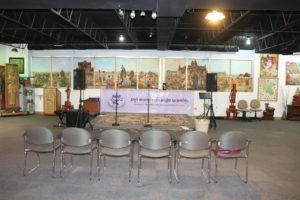 Promoting and encouraging cultural exchanges between Khmer in Cambodia and Khmer in America with the general American public. Ultimately, we hope to inspire survivors from around the world to give back to their communities. "If Cambodians ( Khmer people ) can survive a genocide, anyone can overcome anything in life!" The beneficiaries of the IKARE work include the Khmer people in and outside Cambodia; genocide survivors everywhere and their children, the world community, and the general public. We are forever indebted to the kind support from the Hubbard Broadcasting Foundation ( Thank you Kari and Mr. Hubbard ) and a one-time Holiday grant in 2016 from St. Jude Medical Foundation ( Thank you Chamnap for caring to help ), and the many volunteers who gave their time, money, and commitment to help continue the vision of this organization. 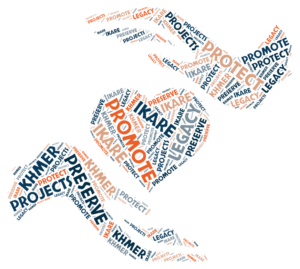 Recently, the IKARE organization was approved for membership in the Alliance of Nonprofits for Insurance, making us one of 18,100 nonprofits in 32 states and DC working together to reduce cost of insurance for all non-profit organization members. We are proud of our achievement because of “Karing” hearts like yours! Oh, did you know that we rank as a top .5% of organizations in the United States with a Platinum Seal of Transparency from GuideStar? Kosol is a frequent guest on Voice of America (VOA), Radio Free Asia (RFA), Minnesota and National Public radio, and has been featured on Fox TV, Phnom Penh Post, Cambodia Daily, and other publications throughout the world - Often discussing topics on how to protect, preserve, and promote the arts, history, culture and future of the Khmer people. He brings over 20 years experience providing strategic direction to local and multi-national organizations in business, product innovation, and developing strategic branding and marketing communications. Some of his accomplishments include developing and receiving 7 United States Patent and Trademark business processes and 3 United States Copyright business processes. He's founded, operated and sold intellectual property to a Fortune 100 company. He has a lifelong experience as student, trainer, and executive in leadership, communication, and scientific problem solving to transform the IKARE into a world-class organization. Kosol joined the IKARE because he wants to see the Khmer people and community advance to a level of excellence. He understands the challenges ahead and willingly accepts the journey to bring the best of the Khmer people and culture to the world. "The Khmer people came close to extinction in December 1979, I'm going to do my part to make sure this great culture and people continue," is Kosol's motto. Thea began her community development career by working in the non-profit arena for the Centre for Asians & Pacific Islanders for two years as the Associate Director in order to help refugees and immigrants acculturate and resettle in Minnesota. She embarked on a career at Hmong American Partnership ( HAP ) in early 2008 and became their Operations Director. She later became the Vice President of Administration and Strategic Development in 2015. She is happily married to Ishmael Bentley and has two wonderful daughters: Sayla, twenty-years-old; and Valentina, eight-years-old. Our family resides in Edina, Minnesota. Her husband is happily employed, working his dream career and running his own academy in St. Louis Park. He teaches Brazilian Jiu-Jitsu at his business called M-Theory Martial Arts. Thea joined the IKARE in March, 2019 and she plans to focus on expanding the IKARE mission of serving the Khmer and non-Khmer communities. Stephen Young is the Global Executive Director of the Caux Round Table. He was formerly the third dean of the Hamline University School of Law, an assistant dean of Harvard Law School, and has worked with the Council on Foreign Relations and consulted to the United States Department of State. Steve and his Father have been involved in helping the Khmer community since his father was present at the Declaration of Independence of Cambodia from France in 1953. Ream serves as Chairman of the Board and comes to the organization with a wealth of experience in education and multi-decade leadership with the United Cambodian Association of Minnesota and other Cambodian refugee non profit organizations. In 1965, he received a Bachelor’s Degree in Civil Engineering and from there went on to help build and maintain some of the infrastructure you see in Cambodia like airports and roads. He arrived in America as a refugee 1981 and served as a teacher for the St. Paul school district teaching math and science. In 2011, he joined IKARE and began to advance the organization's vision and mission because he believes it is a platform to educate the future generation of Khmer children along with others on the importance of Khmer culture, heritage, and identity. Mr. Koy, Chhoeurn is recognized for his contribution to the Khmer genocide survivors for his work with the International Institute of Minnesota in 1980s to sponsor and resettle 450 families and 1600 refugees in Minnesota and throughout the United States. Today, he has returned to live in Cambodia to play a role in rebuilding his birth country from the war of the 1970s. Koy is 88 years old and recently donated 40 years of his knowledge and hardwork in 20 boxes of information to the IKARE, so that we can continue where he stopped. He has been helping the Khmer people since working for the U.S. Embassy in 1975 and he has not stopped. We are proud to continue his work at the museum so that all his efforts will not be forgotten. Greg Barron is an American radio and television journalist, producer and communications executive. His early radio feature work influenced public radio storytelling in the United States and how sound is used in documentary production. Described by Variety Magazine in 1981 as "one of the most renowned creators of radio documentaries in the nation", his work as a producer for Minnesota Public Radio between 1972 and 1980 was recognized by numerous regional and national journalism awards and he was an early advocate of the use of high fidelity stereophonic sound as an integral element of radio journalism. In 1981, Barron began a career in marketing communications working first with Hill and Knowlton public relations as a media relations executive, followed by a brief tenure as a documentary producer for The Moore Report, an award-winning documentary unit at the CBS owned-and-operated in Minneapolis. In 1983, he founded G.R. Barron and Company, a Twin Cities, Minnesota-based public relations and marketing communications agency. In 1998, he left the agency business to continue his career as communications executive in the corporate world. Chamnap serves as the Treasurer of Board for the IKARE organization. She brings to the organization over 15 years of experience in various different areas. In 2002, she earned a Bachelor’s Degree in Business Administration and has since completed multiple graduate study courses in Resource Development and Fundraising, Inter-Cultural Communications, Culture and Development, Transformational Development and Servant Leadership and Management. She also brings with her experience in Marketing, Training, , and Communication from St. Jude Medical, Thai Samsung Electronics, Chevron Ltd (Cambodia), and World Vision. Champnap spends her time championing for the Khmer Community through IKARE because she feels that the mission and vision of our organization will help bring the Khmer community to a better place. Thal serves as the Board Secretary. Thal joined the IKARE organization because she wanted to make a difference and become part of a system that protects, preserves, and promotes next generation role models. Thal wants to see the Khmer community unite so that future generations, like her grandchildren, can carry on the Khmer identity. 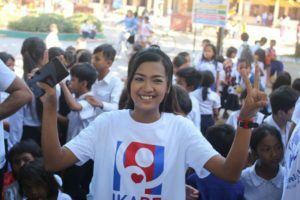 She believes through IKARE vision and mission, the Khmer identity will stay alive. Thal is also a Khmer language specialist. Her experience includes teaching children the Khmer language, dances, and childhood discipline.